The Dolpo Box is a photographic subscription proposal of an experimental and poetic kind. It allows the subscribers to receive through the post, on a monthly basis during a year, a print of an image from the Dolpo Box, the edition of which is limited to one single copy per image. The subscribers, though, never know in advance what their image will be. And so, month after month, they will witness the creation of a hitherto unpublished, original, anachronistically unpredictable and strictly unique portfolio. They agree to entrust its construction to chance – with a little help from the photographer, at a slow pace that is dear to him and on which his perception of photography is found. The Dolpo Box is a box that reemerged from a family attic in Belgium around 2013. 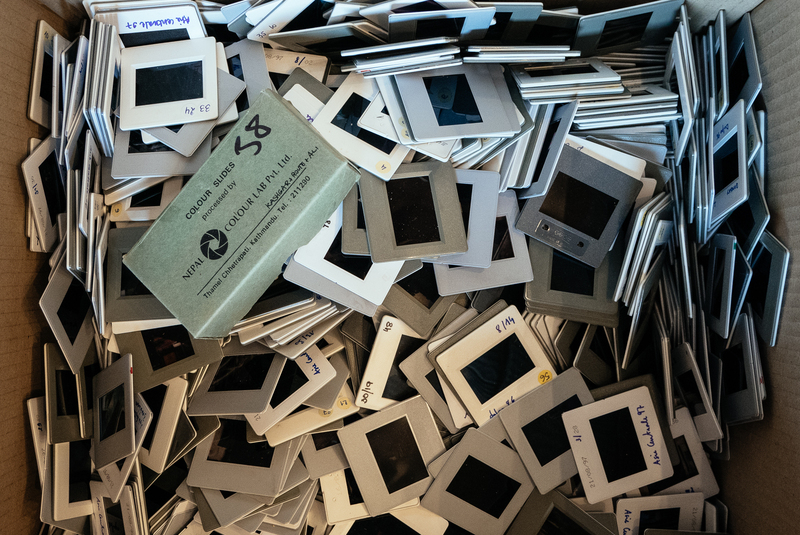 It contained thousands of slides that I thought I had thrown away. They are images from my first Asian travels, dating back to the middle of the 1990s: Nepal, Pakistan, Ladakh, Kashgar, Uzbekistan, Kirghizistan… A significant part of them come from a solitary journey towards Dolpo, in the north-west of Nepal, in the spring of 1996. In those days I was trying to validate a certain idea of what a “beautiful image” is, that I had inherited from travel photography books. The slides from the Dolpo Box are the ones that I had dismissed because they didn’t seem to meet this rather restricted­ ambition. In which iconoclastic transports had I doomed them to destruction, I no longer know. That was a while ago, in the early 2000s. I probably believed that they would never match the new photographic writing that I had then started to develop. The fact remains that they survived the project of effacement that I had plotted against them. Luckily they did because, as my understanding of photography since then and on several occasions radically changed, once I delved into them again I discovered that these images still had a lot to say. Their very pugnacity is what I would like to share here. The way I look at them having shifted and time having elapsed, I found myself enthralled by their power, at once nostalgic and serene. Henceforth I sometimes even see them as documents. And so, these slides that had previously refused to be “beautiful images”, I felt like they could maybe now be considered as photographs. Each print is signed, numbered 1/1 and limited to one copy regardless of its size. It comes with a certificate of authenticity. The picture is a 24 x 16 cm pigmented inkjet print on a Hahnemühle Photo Rag UltraSmooth 305g A4 paper. 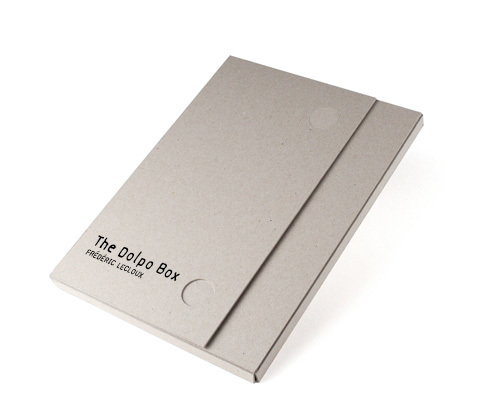 The first shipping comes with a case to host the portfolio. Subscription price for a year is 800 €.